Pivot is your “go to” for quality, expertise, customer service and on time deliveries. 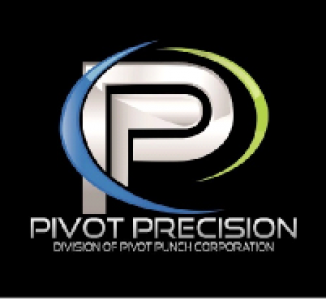 Pivot Precision manufactures precision machined components as well as a complete line of standard and special punches and dies for the Aerospace, Ammunitions, Automotive, Dental/Medical, Defense, Electronics and other Commercial Industries. Pivot is dedicated to providing our customers with only the highest quality components, utilizing our ISO 9001 Certified Management System. Our state of the art Swiss-type and Multi-Axis turning and milling machines can provide custom parts to meet our customer’s needs. In- house heat treating processes, to customer specifications, insure precise controls of the process. 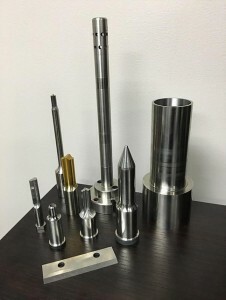 Our extensive experience with precision grinding is one of our specialties, along with our EDM Department that utilizes wire and conventional CNC Sinker EDM’s. A wide variety of materials can be machined for all of your component needs. Steel, plastics, aluminum, nylon, copper, and tungsten are all common materials.